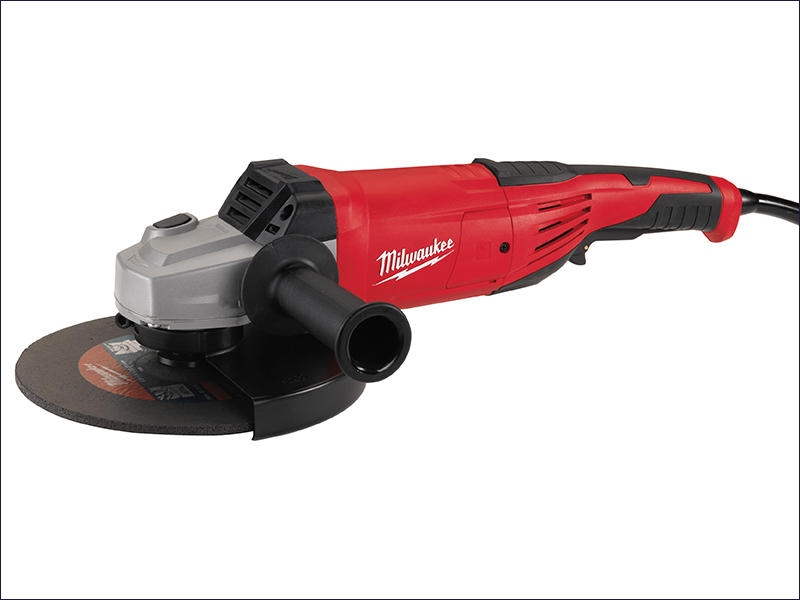 The Milwaukee AG 22 230mm Angle Grinder has a powerful 2,200 Watt motor with powder field coating for long life time and outstanding performance in all applications. The AG 22 is extremely compact in design for its type, with a length of 485mm and weight of 5.4kg, allowing comfortable handling. In addition, it has a 2-position anti-vibration side handle for less vibrations to the user and more comfortable work. The AG 22 has a burst resistant keyless safety guard providing user protection. External brush doors allow easy access to the brushes for servicing, and the soft start ensures smooth starting. Max. Disc Diameter: 230 mm.